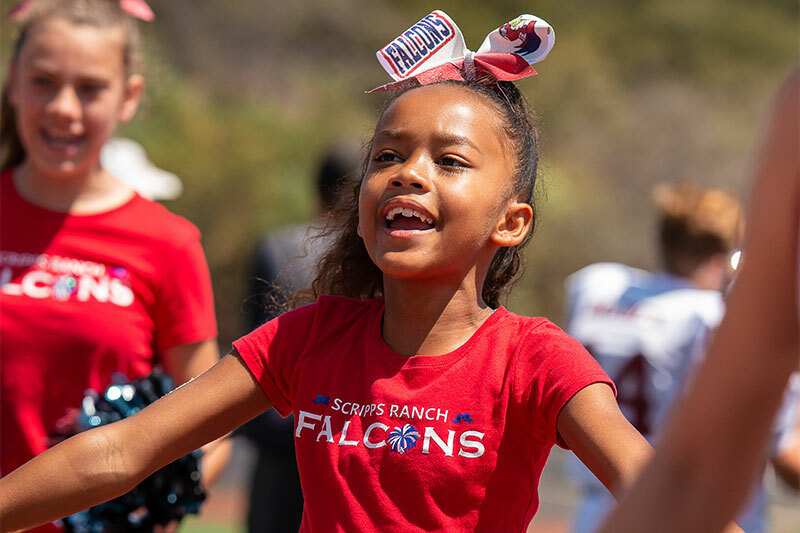 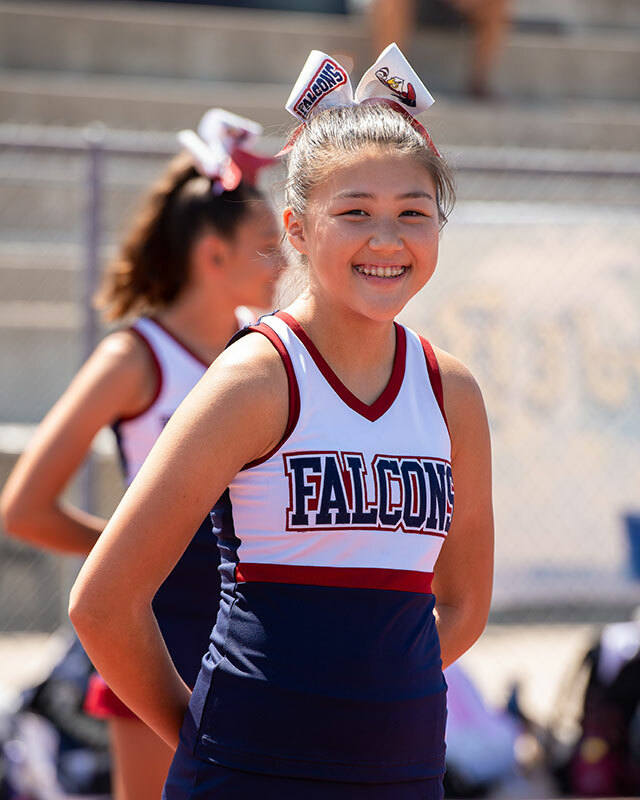 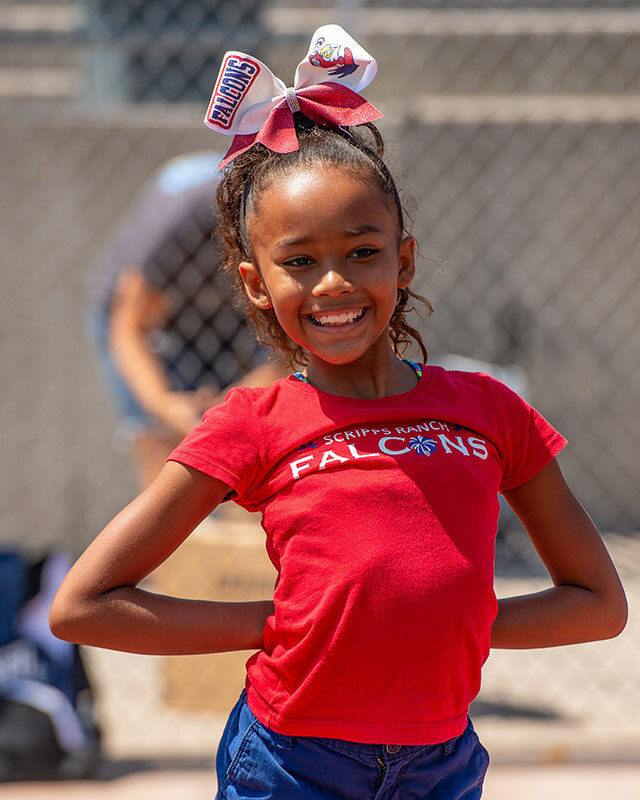 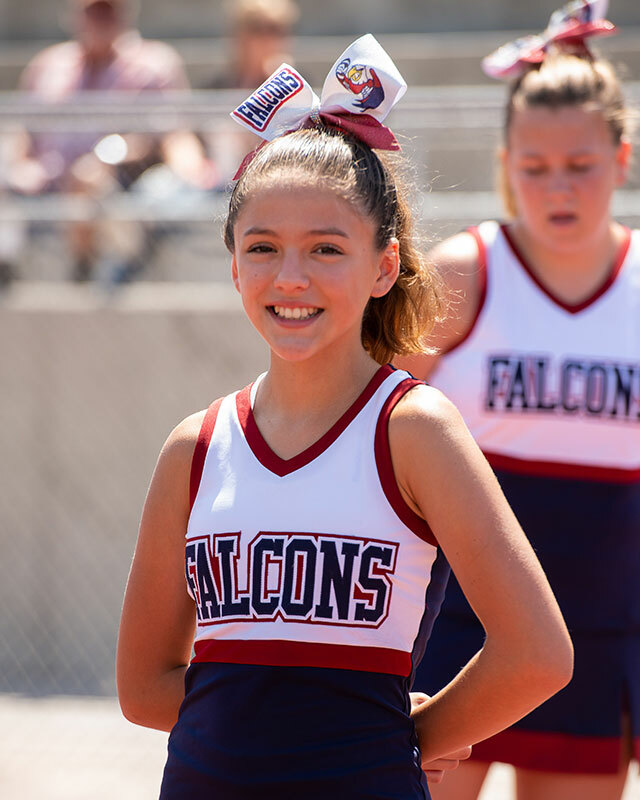 Young cheerleaders full of pep kept spirits high all day long Saturday during a full slate of Pop Warner football games on Sept. 1 at the Scripps Ranch High School football stadium. 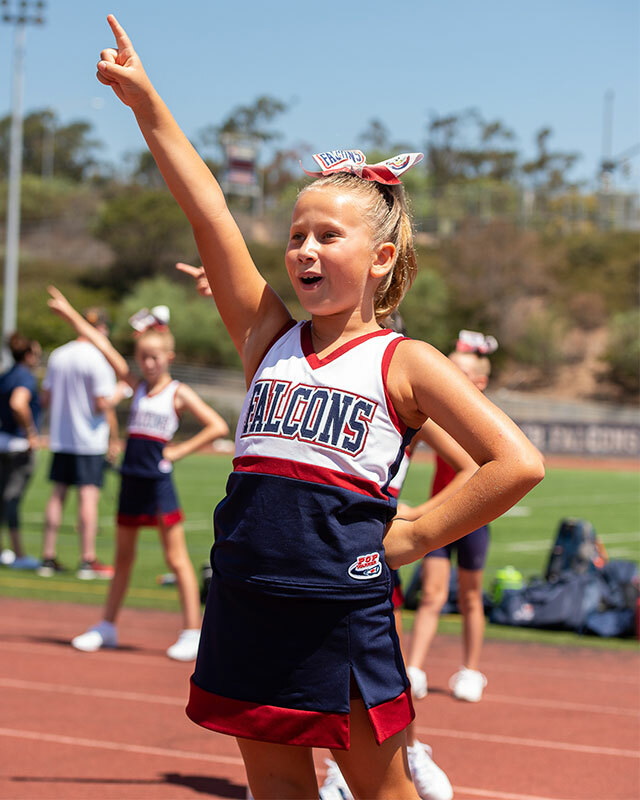 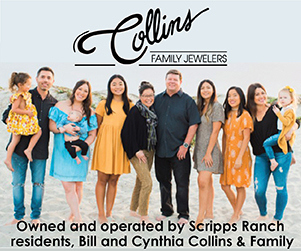 These young women are in the Scripps Ranch Pop Warner Football & Cheer Association. 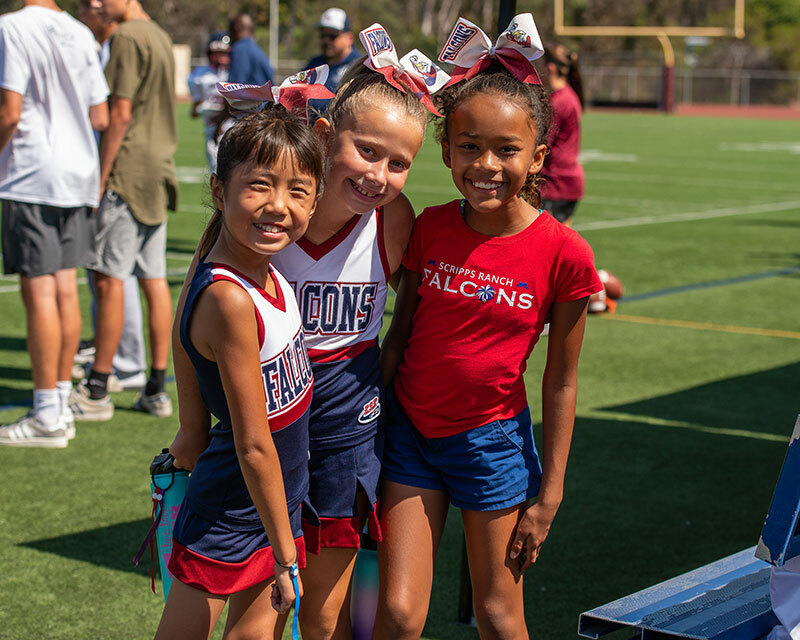 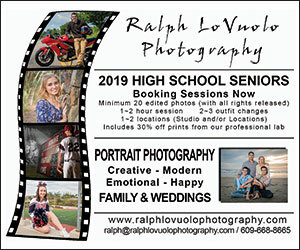 The youngsters are not only the cutest kids around and cheer on the players, they are skilled in their routines and compete at cheer competitions, all of which takes hours of hard work, focus and skill.